The University of Warwick is renowned in the UK for its engineering courses. The School of Engineering has an integrated approach to engineering education that joins the key branches of engineering—including mechanical, electrical and electronic and civil—all drawing on research strengths in core engineering disciplines. 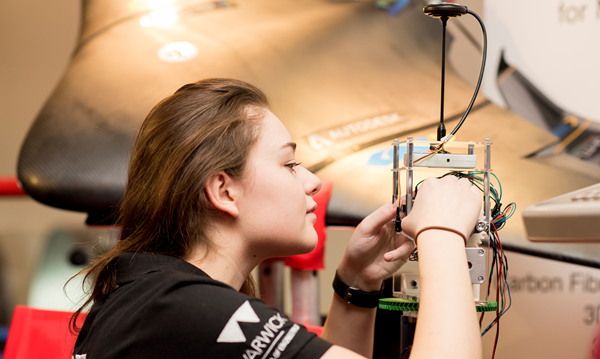 I know all about Warwick’s approach to engineering education because I’m a mechanical engineering (MENG) finalist (fourth-year student) at the university. I’m also an Autodesk student ambassador. As part of our studies this year with my fellow Warwick MENG finalists, we participated in an R&D program focused on the aerospace industry’s extensive and fast-developing additive manufacturing capabilities. The program is called Horizon AM and an aspect of the work we undertook involved producing a UAV (Unmanned Aerial Vehicle). 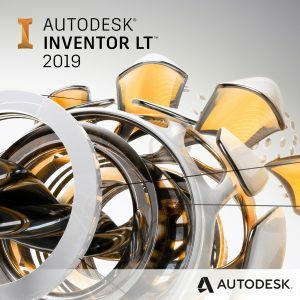 Part of what made the project productive and memorable for the participants was using Autodesk Fusion 360 as our collaborative design tool of choice. Of course, the UAV project isn’t just about tackling the design and development of the UAV, the experience is also about collaborating in a real-world project environment to ensure we as students have the necessary skills to be productive and successful as the manufacturing industry at-large transitions to Industry 4.0. The concept behind the project is to produce a UAV that can fly long distances to people in need of assistance from services such as mountain rescue. The UAV should be able to land and deliver immediate aid and equipment before the arrival of a mountain rescue team, at which time it can be recovered. To achieve this, a lightweight UAV with the capability to fly long distances with a large payload is required. This year we designed the entire UAV in Fusion 360, which served as the ideal tool for the project because it allowed the team to collaborate effectively and brought together a range of different capabilities in one package. The resulting UAV is a little over 2 meters (approximately 7.2 feet) in wingspan and is made from carbon fiber composite, with the carbon fiber mold tools being produced in sections using large-format 3D printing. The UAV has on-board control electronics and, due to the long distances over which it may operate, needs an antenna tracking system at the base station to make sure it stays in contact. The control electronics were designed in Autodesk EAGLE PCB design software. “Autodesk EAGLE has an incredibly intuitive interface, making it easy to pick up for the first time and delve straight into the needs of the project. In my case, the ability to flick seamlessly between component design and PCB layout was extremely valuable,” said Melisa Kaner, a fellow Warwick student who was the Control Systems Engineer on the project. The UAV antenna tracking system is also designed in Fusion 360, with the mechanical and electrical data brought together in Fusion 360. The project culminates with the group now at the stage where we are finishing fabrication and are making our first test flights. The future of design is alive and well at the University of Warwick, as evidenced by the institution’s current curriculum refresh this year that is resulting in a new range of modules including ED. In this new ED module, students will be trained in some of the fundamental aspects of the engineering design process including CAD, simulation and practical manufacturing skills as well as the fundamental aspects of Industry 4.0. 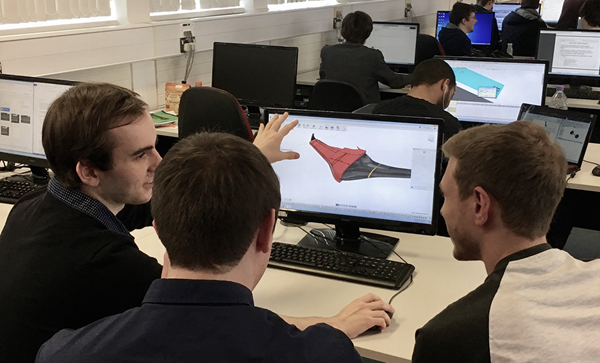 Warwick students will continue to leverage Fusion 360 along with 3D printers, and other manufacturing equipment, and we will also continue to be engaged in Design Jams run by Dr. Leigh and held weekly to offer Fusion 360 users a community at Warwick. These Design Jams have truly showcased Fusion being embraced and dare I say, loved, by our students. The Design Jams have also resulted in a huge cross-collaboration between all the engineering disciplines—all during our free time. We’re seeing electrical engineers helping mechanical engineers with wiring and coding, and mechanical engineers helping teach shape optimization to civil engineers. The future of making things is alive and well at Warwick and having access to industry class products such as Fusion 360, combined with the technical expertise at the University really allows me and fellow students to make anything.